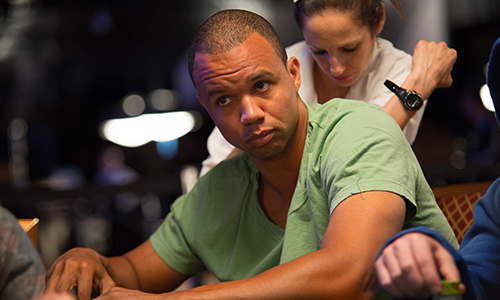 Flushdraw’s coverage of professional gambler / poker player Phil Ivey’s United Kingdom appellate loss this week against London’s Crockfords Casino over withheld punto banco winnings continues here with key excerpts from the just-published ruling. Ivey and his attorneys lost the initial ruling in 2014, were granted the right to appeal the ruling last year, and subsequently lost that appeal this week. Ivey had sought to force Crockfords to pay the £7.7 million (worth about US$9.6 million today) in “winnings” that Crockfords withheld following Ivey’s punto banco play at the casino in 2012, being suspicious over the play of Ivey and his companion, Cheung Yin “Kelly” Sun. As noted in our earlier report on the latest decision, Ivey decried his setback, noting that the judges had duly noted that Ivey himself believed that his edge-sorting scheme was not cheating, even though the appellate court ruled that it was, despite Ivey’s personal beliefs. “Can someone tell me how you can have honest cheating?” said Ivey. As the writer of the majority opinion on the matter, Lady Justice Mary Arden answered that question succinctly, writing, “My conclusion: there may be cheating without dishonesty.” Judge Arden then dissected the case and her finding that Ivey cheated, even though he did not believe himself that his actions constituted cheating or were dishonest. “Mr. Ivey’s own view of the legitimacy of his conduct was not determinative,” she also opined. The [initial High Court] judge rejected an argument by Crockfords that the play did not amount to the game of Punto Banco. The judge held that it was not necessary to rule on a further defence that Mr Ivey could not bring a claim founded on his own illegal conduct. After carefully considering the arguments and numerous cases relevant to this appeal, I conclude, for the reasons developed below, that Mr Ivey’s challenge to the judge’s conclusion must fail. Mr Ivey achieved his winnings through manipulating Crockfords’ facilities for the game without Crockfords’ knowledge. His actions cannot be justified on the basis that he was an advantage player. It is said that this status results in a cat and mouse game between him and the casino, basically putting them into an adversarial position towards each other. It is possible to think of actions which are neither deception nor interference with the process of the game, which may in some circumstances constitute cheating. For example, someone who has material information (for example, as to whether a star player will play in a particular game) which is not in the public domain may place a bet on the result of the game on the basis of that information. That person may be guilty of cheating because he has used his unequal access to confidential information to make a profit. In this type of situation, Parliament may well have taken the view that it was enough that covert use of confidential information was intrinsically wrong and that it could amount to cheating without any requirement for subjective dishonesty. [This] is not to say that dishonesty is never relevant. Cheating may, and perhaps in most cases will, involve dishonesty, but it need not do so. Whether interference with the process of the game amounts to cheating in any particular case is a matter for a common sense judgment having regard to the ordinary meaning of “cheat”. I conclude, therefore, that interference with the process of the game without proof of dishonesty may be enough to constitute cheating for the purposes of section 42 [which defines “cheating”] of the 2005 [UK Gambling] Act. The question then is: what form of interference qualifies for this purpose? To answer that question, I must first consider Mr Ivey’s submission that the question whether conduct amounts to cheating must also take account of the context, which includes the fact that he is an advantage player, and the consequences of that submission. The fact that someone is an advantage player is of course part of the relevant background but it is difficult to see how there can be any special meaning of cheating according to whether the player is an advantage player or not. The courts could not define such a player and there cannot be one rule for such players, however skillful, and one rule for other players, on facts such as these. [Ivey counsel] Mr Spearman points out that the judge considered that it was legitimate gamesmanship by itself for Mr Ivey and Ms Sun to give the impression that they were superstitious players. The crucial factor in this case is that Punto Banco is a game of pure chance [case citation]. What Mr Ivey caused Crockfords’ staff to do was to take steps which would alter the chance of his winning materially by some 8% in his favour. In my judgment, because of his plan to play using the knowledge obtained from the reorienting of the cards under his direction, those matters amounted to interference with the process by which the game was conventionally played. It was quite different from card-counting which involves memorising where particular cards are. True, the judge found neither dishonesty nor deception. The court has to take into account the fact that these factors were not present, but, as already explained, the 2005 [Gambling] Act does not make dishonesty a necessary ingredient of “cheating” in every situation. True, Crockfords could have taken steps to prevent Mr Ivey taking advantage of what were undoubtedly systemic weaknesses in their procedures, but they were only weaknesses which operated to give him an advantage because of the steps that he expressly took to cause the staff of Crockfords to take – reorienting the cards under his direction, persuading them to reuse the cards for subsequent shoes and to use a card-shuffling machine – when they were ignorant of Mr Ivey’s real intention, which was to practise edge-sorting. Analysed in that way, the present case falls within the principle illustrated by my example above. True, Crockfords in the course of their business also take steps to persuade people to gamble which are open to criticism, such as offering free drinks and providing “trend” screens. But players can reject these facilities, and such activities are, we understand, regulated by the Gambling Commission. The real point is that Crockfords were not in a position to reject Mr Ivey’s proposed method of play because it did not know of the added knowledge which he had as a result of the stratagem of Mr Ivey and Ms Sun. It was a case of his thereby putting himself in the position of having materially asymmetric information. Mr Ivey submits that this was not the case because everything he did was open to Crockfords’ staff to see and could not have happened without their consent. But, while his interference with the game may have been transparent in the sense that it was played out in the open, Crockfords did not know that it was Mr Ivey’s intention to practise edge-sorting or that his actions put him in a special position to do so. The question whether a reasonable person would say this is cheating turns on whether there was a dramatic effect on the odds in the game. Punto Banco, as I have already said, is a game of pure chance, and not a game of mixed skill or chance. The casino is highly regulated. It does not try to win every game but the house edge means that it should win over time. Edge-sorting materially altered the odds in the game of Punto Banco offered by Crockfords. In the circumstances of this case, the fact that Mr Ivey was an advantage player did not mean that his actions were simply part of a cat and mouse game between him and the casino, and not cheating. Moreover, on the judge’s findings [case citation], Mr Ivey took steps not explicitly mentioned in his description of what he said an advantage player would be entitled to do. Thus thoroughly dissected — and disposed of — were the bulk of Ivey’s “advantage play” claims. I agree with Arden LJ  above that the crucial factor in this case is that Punto Banco is a game of pure chance. Dr Jacobson, Mr Ivey’s expert witness, described it in evidence, or at any rate described Baccarat of which this is a variant, as “a brain dead game”. We do not need to debate whether it is correctly described as a game, but it is not an adversarial contest. It is not a game played by the player against another person. It is as the judge described a game in which cards are dealt in a sequence from which no deviation is permitted where it is of the essence that bets are placed by the punter before any card is dealt and at a time when neither player nor banker should have any knowledge of the likely value of the first or any subsequent card dealt. In my view the inference is simply inescapable that Mr Ivey set out to deceive, as I think he accepted in  the transcript of the proceedings on 3 October 2014. I am prepared to accept, in respectful disagreement with Arden LJ,  that Mr Ivey did not go beyond the steps mentioned in his description of what he said an advantage player would be entitled to do. Nonetheless, in my view, Mr Ivey did more, far, far more, than simply “to play up to Crockfords’ staff’s perception of what influenced his play, superstition” . Mr Ivey and his accomplice created that impression. He admitted that his remarks about luck and about being superstitious “were designed to create an air of superstition around our play”. Having created an air of superstition he then used it to persuade the staff to do what they would not otherwise have done and would certainly not have done had they appreciated the purpose for which it was done. The staff were deceived as to his reason for wanting the cards turned. The CCTV which we viewed and the transcript which we could read, in translation where necessary of the Cantonese, revealed an elaborate charade. When in the middle of the last shoe Mr Ivey was told that it would be changed when exhausted, he sought to ensure that his deception would not be discovered by thenceforth asking in an entirely random fashion for cards to be turned. He was covering his tracks. Justice Victoria Sharp, the third judge, wrote a dissenting brief in which she affirmed Ivey’s appeal. The basis of Judge Sharp’s dissent was in fact a marked departure from the stances of Arden and Tomlinson: Sharp was unable to separate the concept of “cheating” from the position of “being dishonest,” despite such examples as provided in her fellow judges’ opinions. Justice Sharp also relied heavily on the UK Gambling Act’s section defining cheating as also pertaining to criminal offenses, rather than civil. 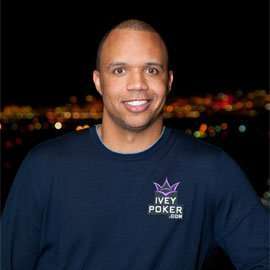 Had Ivey and his gambling partner, Sun, been charged criminally, which did not occur, each could have faced as much as two years in prison. Sharp also was loath to void Ivey’s civil appeal in a case in which a criminal statute definition played a factor. As Lady Justice Arden and Lord Justice Tomlinson would affirm the [High Court Justice Mitting’s] ruling, albeit on different grounds to those which found favour with the judge, I need deal only briefly with my conclusions as to outcome. The judge plainly concluded that Mr. Ivey was honest; but that looking at the matter objectively, he had cheated. There may be cases, [case citation], where it is appropriate for an appellate court to disturb a finding as to honesty. I do not consider it would be right to do so in this case, and to attempt, retrospectively, to apply the Ghosh test to the facts, not least because no argument was addressed to us on this issue. In my opinion, the judge in this case was wrong to construe the issue of cheat in the way that he did, and I would allow this appeal. A successful appeal would have remanded the case to Mitting’s court room, where he would have reviewed the arguments made, though not necessarily changing the initial ruling. It is also worth noting that both Arden and Tomlinson reviewed Justice Sharp’s dissenting arguments and found them unconvincing. Justice Tomlinson wrote that he needed not even consider the civil-v.-criminal issue regarding “cheating” to rule against Ivey and deny the appeal. However, I respectfully proffer four answers to Lady Justice Sharp’s concern. First, the section does not include a reference to dishonesty. What we must do is interpret the words which Parliament has used, and in my judgment there is no requirement for dishonesty. At least one dictionary definition of the word “cheat” does not require that it should always involve dishonesty and the unfair conduct may be enough . A criminal statute has to be clear, but, in the common law system, the requirement for legal certainty does not mean that the content of a word cannot be considered against the facts of new cases. It is a function of a common law court to explicate the meaning of the word in those cases. In addition, this is a recent statute and it was passed after the decision in Ghosh. Parliament may reasonably be expected to make it clear by express wording if dishonesty is required with the consequence that Ghosh applies. Second, this case does not fall within the narrow category of cases in which the court may reject an interpretation. It may do this, for instance, where an interpretation is absurd. It cannot be said to be absurd for Parliament to have legislated in terms that preclude a defence that a person honestly believed that his conduct did not amount to cheating. That, in my judgment, is a valid legislative decision for Parliament to have taken. Third, there is no question of honest cheating: what is in issue is whether cheating involves subjective dishonesty, which is only one form of dishonesty. Fourth, section 42(3) in my judgment supports my interpretation for the reasons already given above . I do not consider that my interpretation would give rise to any difficulty in directing the jury, who would be told that the state of the defendant’s mind was a matter that they could take into account  but that the absence of subjective dishonesty was not a defence. Overall, I do not, respectfully, accept that Mr Ivey did no more than “legitimately exploit a chink in the Casino’s considerable armour” . He clearly took advantage of Crockford’s lack of information as to what he was doing.